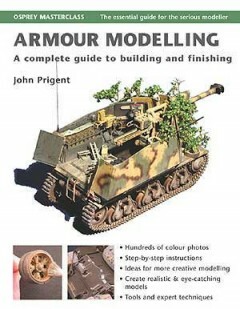 John Prigent built his first tank model in 1947 using cardboard from breakfast cereal packets and has been modelling ever since using all the materials available. He wrote two books for Darlington Publications and contributed to the first four armour books in the original Osprey Modelling series. Since 1970 he has contributed many articles and news columns to magazines such as Military Modelling, Boresight, IPMS Magazine and Scale Models International. He retired in 2004 as an armour class judge at Euromilitaire.